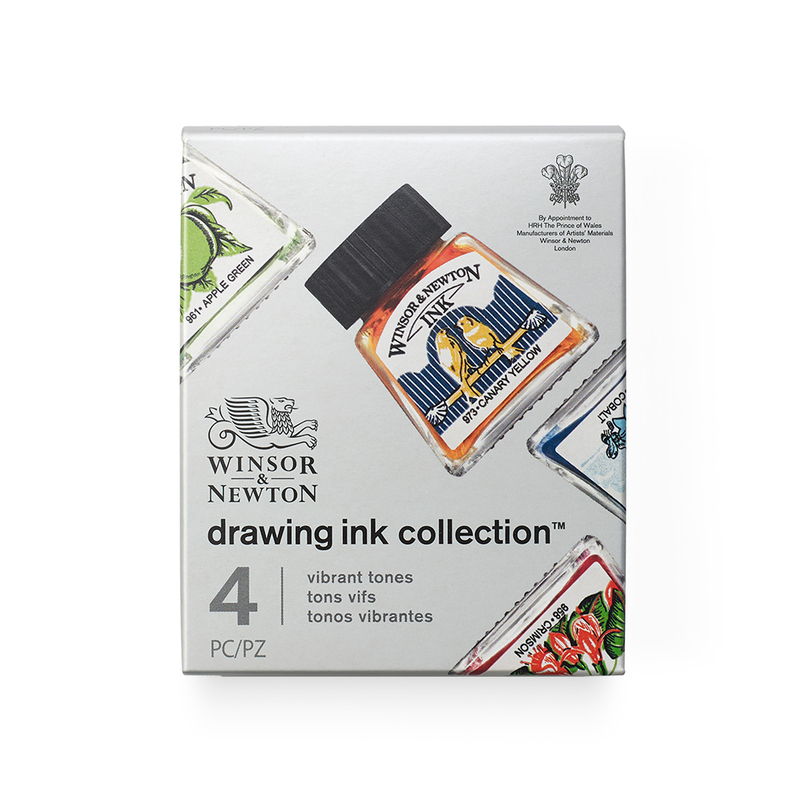 This beautifully presented set of 4 Winsor & Newton Drawing Inks contains four 14ml inks in Vibrant Tones. 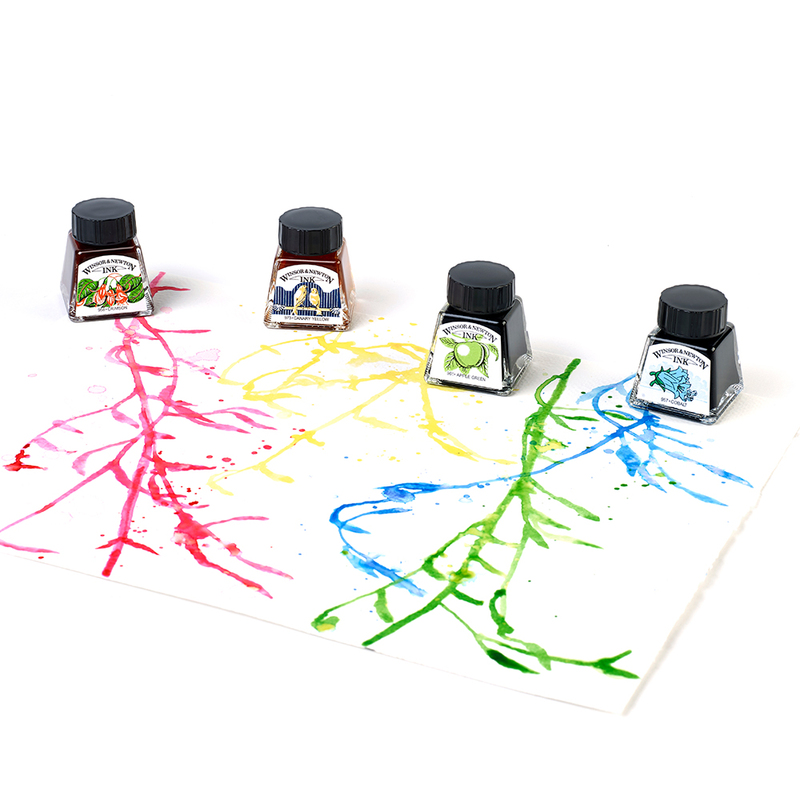 The set includes one each of Cobalt, Apple Green, Canary Yellow and Crimson. 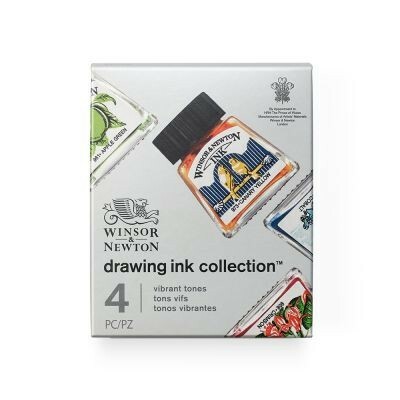 Winsor & Newton Drawing Inks have been developed from a mixture of soluble dyes and a superior quality shellac solution. 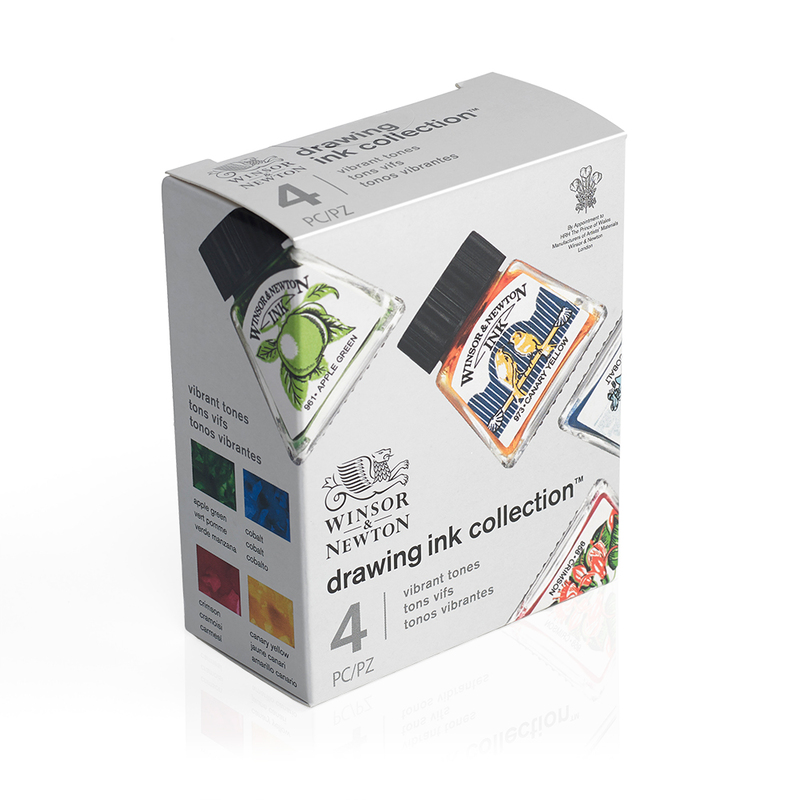 This boxed collection has a great selection of vibrant colours, each packed in an iconic illustrated Drawing Ink bottle. 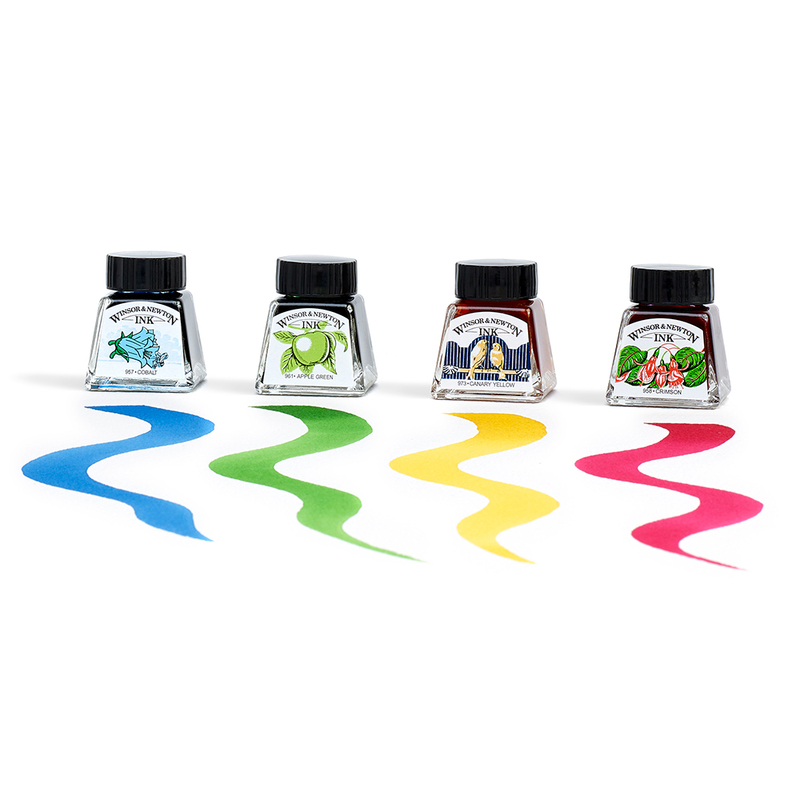 Popular with calligraphers, illustrators and designers, these inks offer fast-drying, brilliant colours that are fully intermixable and water resistant once dry. 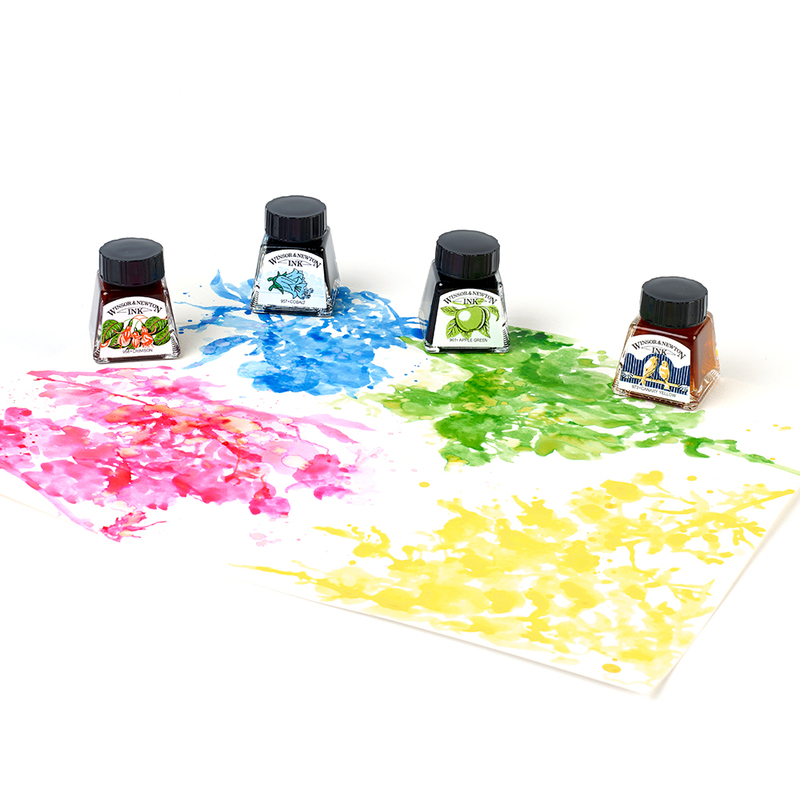 The colours can also be easily diluted to achieve paler tones. The colours in this set are not lightfast.